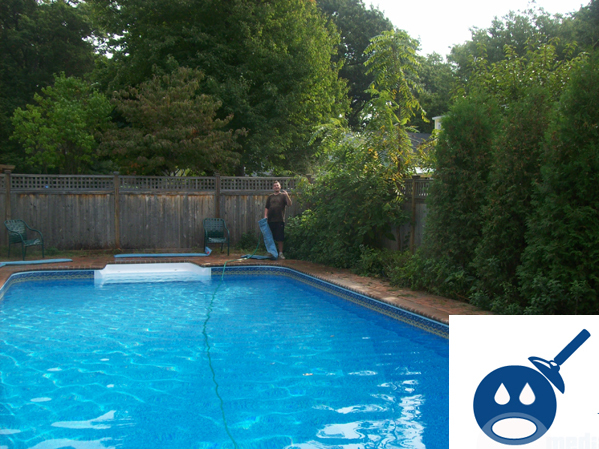 When the time comes to close your swimming pool you will have either one of two types of swimming pool covers. 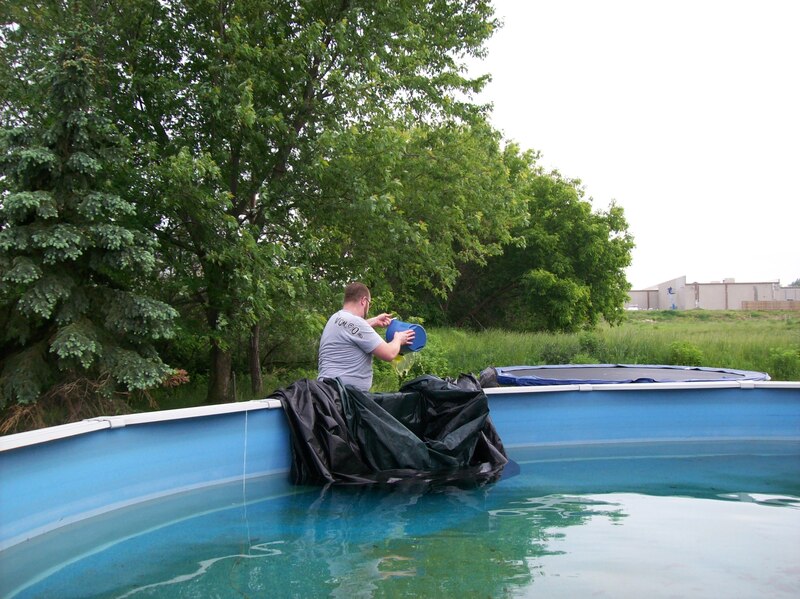 You will either have a standard solid cover that uses water bags or you will have a Safety Cover that is held on top of the pool with brass anchors. Before you can lay the safety cover on top of the pool, you must raise the anchors that are in the patio or the wood decking surface. In this picture bellow you can see the pool guy Richie raising the anchors on this swimming pool. This swimming pool has a Loop Loc Safety cover that is going to be pulled over the pool and then strapped down to the anchors that the pool guy is raising up. You will need an Allan key to raise the anchors yourself. Once you have raised all of the anchors, you will then need to grab your Loop Loc or safety cover installation bar and begin strapping down the cover to the pool.